U.S. Navy and Japan Maritime Self-Defense Force mine countermeasures units completed an annual mine countermeasures exercise (MCMEX) 2JA 2016, July 28. Pacific Partnership 2016 departed Da Nang, Vietnam, July 28 after completing two weeks of disaster response training, subject matter expert exchanges, cooperative health engagements and community service events. 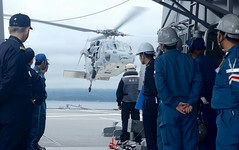 The 22nd annual Cooperation Afloat Readiness and Training (CARAT) exercise between the U.S. Navy and Republic of Singapore Armed Forces concluded with a ceremony at Changi Naval Base July 28. 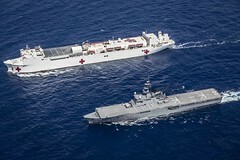 The U.S. and Republic of Singapore navies have exercised multiple tactical engagements during their ongoing annual bilateral maritime exercise. 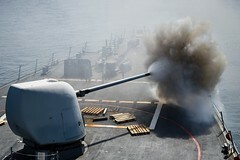 The Makin Island Amphibious Ready Group (ARG), Amphibious Squadron (PHIBRON) 5 and the 11th Marine Expeditionary Unit (MEU) recently completed a 12-day integrated training event. 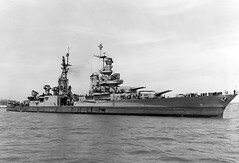 A Naval History and Heritage Command historian recently uncovered information that sheds new light on a dark episode in U.S. Navy history: the loss of the WWII cruiser USS Indianapolis (CA 35), NHHC announced July 25. Commander, U.S. Naval Forces Korea and the Republic of Korea (ROK) Fleet co-hosted a combined and joint senior enlisted leader symposium in Busan, July 22-23. 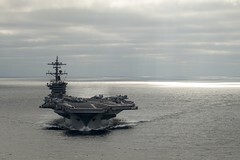 The aircraft carrier recently departed its homeport of San Diego to begin the Tailored Ship's Training Availability/Final Evaluation Problem (TSTA/FEP) certification period. 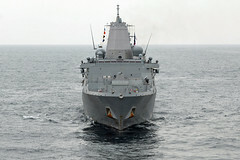 The amphibious transport dock ship and embarked Marines from the 13th Marine Expeditionary Unit arrived in Colombo, Sri Lanka, July 24 for a port visit. 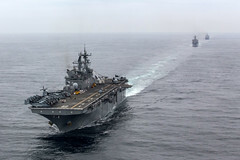 The Boxer Amphibious Ready Group (ARG) and 13th Marine Expeditionary Unit entered the U.S. 7th Fleet area of operations July 23 after nearly four months in U.S. 5th Fleet.